JACKSONVILLE, Fla. - Nobody wants to be a victim of credit card fraud. But if your strategy for protecting yourself is to leave your signature off your cards and write "See ID" instead, not only is your game plan ineffective, it's outdated. Who says so? The major credit card companies. The question is why? I started looking into this after a tip from a viewer. He emailed, confused about why the post office refused his purchase since his card said "See ID" on the back. Turns out, that's the new policy at all post offices across the country now. When I asked the USPS spokesperson why, told me, "Because that's what the credit companies told them to do." So, we wanted to know who has "See ID" on the bacl of their card, and who actually signs the back? Megan Hunter told us, "I sign it. It says to sign it, so I do." Cheryl Ndregjoni said the same. "I sign it." Same story for Gary Upshaw. He said, "I write my first and last name on the back of it. Yes I do." The people we asked on camera sign their cards but plenty of others don't. They leave the back blank, or they write "See ID." The idea behind writing "See ID" on a credit card is that if your card is stolen, a merchant won't complete a transaction when the thief can't produce a valid ID. But Visa, Mastercard and more say the strategy doesn't work. The biggest reason; merchants don't always look at the backs of cards. Just ask Tom Stephens with the Better Business Bureau. "And I write See ID on the back of my cards and I always thank the person when they ask me for the ID, cause usually they don't even look at the back," Stephens said. On the site creditcards.com, it explains why writing "See ID" is outdated. Most in store transactions don't even require a credit card to change hands anymore, you swipe and sign on your own. But the biggest reason, according to Visa's 2014 Card Acceptance Guidelines for Visa merchants, an unsigned credit card is not considered valid and merchants, like the post office, are instructed not to take it. MasterCard has similar rules. American Express also advises customers to sign the backs of their cards. Stephens said, "The cards say not valid unless signed, says that on the back. So I guess the postal service is going straight by the rules, if it's not signed, it's not valid. But I don't see that it protects you at all to me it would protect you more to have, to require an ID to use it then it would be just to have the signature. If it makes you feel better to write "See ID," go ahead. The credit card companies say just make sure you also sign the card. By the way, federal law limits your liability to $50 for unauthorized transactions on your card and major credit card all have zero-liability policies that further reduce risk. 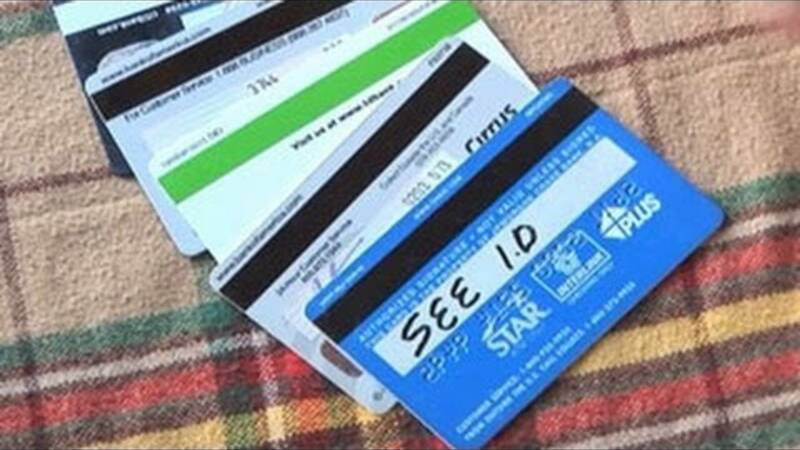 ID theft Experts suggest taking steps more effective than writing "See ID." Monitor your accounts weekly rather than waiting to see your monthly statement. That allows you to spot an unauthorized transaction immediately and prevent subsequent charges. Sign up for text and email alerts to be notified about when charges are made to your account. Also, leave some of your credit cards home, carrying only those you plan to use.